Carpet sidematch also spelled side match is the appearance of a shade or hue variation between joined carpet panels. A person may see what they believe to be two shades of carpet joined side-by-side, when in actuality the shades are identical. Carpet is a man made product that goes through many processes from the time the fiber is manufactured into carpet, up through its installation. 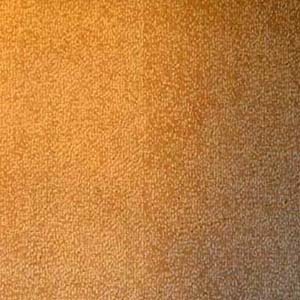 During the manufacturing of carpet a dye or texture variation may occur, resulting in an actual sidematch appearance variation. 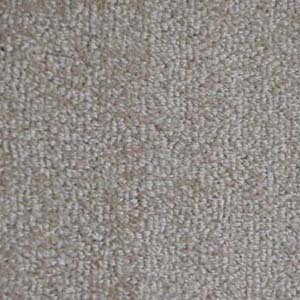 During the seaming and installation of carpet a real or perceived carpet sidematch appearance variation can also occur. Not everyone sees the same object or light source in the same way. An organism or machine will distinguish objects based on the wavelengths (or frequencies) of the light they reflect, emit, or transmit, this is known as color vision. A person’s perception of colors is a subjective process. The human brain responds to the stimuli that are produced when incoming light reacts with the cone cells in the eye. With a carpet sidematch, what the eye sees as a color variation may be an actual difference in hue or it also may be shadows, texture or another cause that is being perceived as a color variation. Manufacturing Sidematch Defect or Characteristic? A carpet sidematch condition may have been created during manufacturing and yet it is not a defect. Examples of this are random sheared carpet products where more shearing will take place in some areas than it does in others. Carpets that are manufactured with a random pattern that cannot be perfectly matched. Natural variations in color that take place between dye lots and slight texture variations from one side of a roll to the other. Each of these characteristics may give the appearance of a carpet sidematch. The end user pay perceive these as defects, while the carpet manufacturer will only recognize them as characteristics. Carpet sidematch variations are common, visit model homes, particularly those that have large rooms and pay close attention to the seam areas. You will probably be surprised at the number of installations that have the appearance of a sidematch variation. When a carpet sidematch difference is observed, the end user, installer and dealer may all have different ideas as to why it is there. In fact a perceived difference may have multiple contributing causes. The pile may have been reversed during manufacturing or installation. More light or shadow is being cast on one side of the seam. The seam may be excessively peaked. Multiple dye lots may have been used. The carpets texture may differ from one part of the roll to another. The pile may have a side-to-side or end-to-end color variation. The pile may be crushed on one side of the seam. The consumer’s expectations may be too great. Carpet sidematch is a controversial claim, all the consumer sees is a defective product or installation while the manufacturer may disagree. The cause of these variations can be difficult to identify. Experts like those of the Weinheimer Group, are carpet experts that realize both money and reputation are at stake so care must be taken in determining the cause and if and how it can be corrected. A carpet sidematch appearance difference that takes place within the roll is often not detectable until the carpet has been cut and placed side by side and therefore it is routinely not found until the time of installation. Seam peaking occurs during installation due to the flexing of the thermal plastic tape. Seam peaking is installation characteristic it is not an installation defect unless it is excessive and caused by improper installation. When a carpet is stretched properly tight the peak may be higher. When a seam runs across a major light source the peak will be more visible. When a seam runs into a major light source the peak will be less visible. When a room is large and sparsely furnished the peak may be more visible. Pile Reversal occasionally occurs during manufacturing. If the pile reverses midway along the panel and has been there since installation, this will normally be a manufacturer related pile reversal.Sometimes you find that in the lengthwise direction the sweep is the same and in the widthwise direction it reverses. This condition is unusual and is easiest to identify when all of the arrows on both sides of both panels run in the same direction but you find a side-to-side sweep that is different. Lighting is a site-related condition that plays a big roll when it comes to seam visibility. Some rooms have low windows, others high, wall to wall, or floor to ceiling. Some structures are designed with most of the artificial light at one end or one side of the room. Light may be overhead in one area and tabletop lighting in another. Some layouts are such that the seams cannot be ran into the major light source to reduce seam visibility. Under many of these lighting conditions no matter what you do a sidematch difference is going to be seen. Proper planning for installation can play a big part in seam visibility. Taking fill pieces from the same side of the roll and in sequence to its joining panel will reduce variations. When multiple rolls of carpet are cut in dyelot series sidematch problems are usually reduced. Hue or shade difference within the roll can occur during manufacturing. Many manufacturers as measured by the AATCC Gray Scale consider a 3.5 to 5 percent variation normal. When a carpet is manufactured with nylon pile a shade or hue sidematch condition can often be corrected by a dye process called feather blending. This process is permanent and does not affect the performance of a carpet. The Weinheimer Group corrects many carpet sidematch variations. Some sidematch variation require little more than direct steam to reorient the pile. When there is an actual color difference many sidematch condition are correctable by a feather blending process. This process saves the consumer the inconvenience of a replacement while at the same time saves money. Most manufacturers retain the right to correct a carpet by feather blending. This correction will last as long as the original manufacturing dye process and does not effect the warranty. Recently i bought carpet that was in all appearances in the sample book, name and product number reasonably close to the same carpet we boutght 5 years ago.. However, the carpet manufacturer had in fact mad a major change in dye using a grey rather than a tan basic background. The carpets do not match. They say it is an allowable dye lot variation. I say no. Allowing for fiber and dye lots variations seems to me to be more under control with modern fibers and chemistry. Most carpet manufacturers find that a given production can be within 10% heavier in shade than the manufacturer’s standard, and another production run of that same style/color carpet be within 10% lighter in shade than the manufacturer’s standard and both still be well within the acceptable range of dye lot variation, even if the actual difference in shade between the two productions could be as great as near 20%! This is why it is imperative to know that (dye lot) shade variations are not validated based on comparisons to the dealer’s showroom sample or from roll to roll, but rather from roll to the manufacturer’s standard. Have you ever used a shadow box when taking pictures of a suspect side match defect ? Yes. A shadow box works well as it blocks out any side lighting. How does one execute the ‘feather blinding process’? Feather blending is a process where the shade on the dark side of the carpet is matched and carefully feathered into the lighter side. Correctly done, it becomes difficult for the human eye to notice the difference in shade between the joined panels of carpet.